JB Transliner is a bus service which operates in Malaysia and Singapore. Its main office is based at Merlin Tower at Jalan Melorum in Johor Bahru, Malaysia. 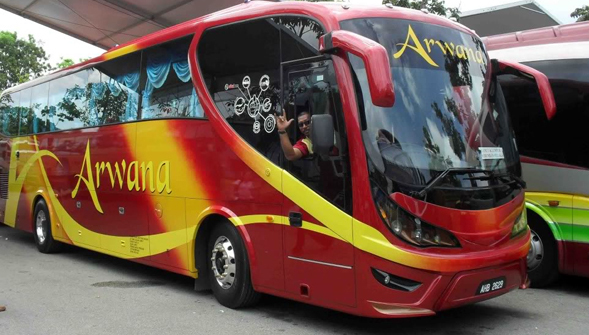 It provides commuter services, tours and transfers within selected cities in Malaysia. It can also be hired to undertake city tours and trips in Malaysia. JB Transliner operates from Johor city to various cities in Malaysia. These other cities include Kuala Lumpur, Shah Alam, Klang, Lumut, Perak, Genting Highlands, and Selangor among others. Tickets can be bought online and afterwards receive an order summary through email. This summary acts as a ticket and an invoice. All coaches operate on a schedule and therefore all passengers are usually advised to be at a pick up point 30 minutes before start of journey. In case of online booking, passengers can pay by MasterCard, Debit card or Internet banking. The recommended baggage size goes up to a maximum of 15kg while other pieces of luggage can be loaded in the luggage compartment of the bus.